Used BMW 1 Series Review - 2008-2013 | What Car? 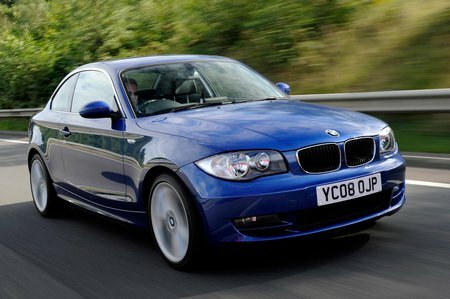 What's the used BMW 1 Series coupe like? The problem with many coupes is that they're expensive and impractical. However, the BMW 1 Series Coupe manages to be both sensible and stylish. Unlike some rivals, its rear-wheel drive, delivering taut handling and good body control. Despite its sporty nature, the ride remains comfortable on all but the roughest of roads. The engines are refined, but the cabin isn't the quietest, with road- and wind noise both issues at higher speeds. Inside, you get clearly marked instruments and a quality feel. There's plenty of room in the front and the driving position is excellent. It's a different story in the back, though, where the rear two seats are cramped, even for children. But the boot is big for a coupe's. The 1 Series Coupe's biggest problem is that the BMW 3 Series Coupe, which does everything better and needn't cost much more to buy.